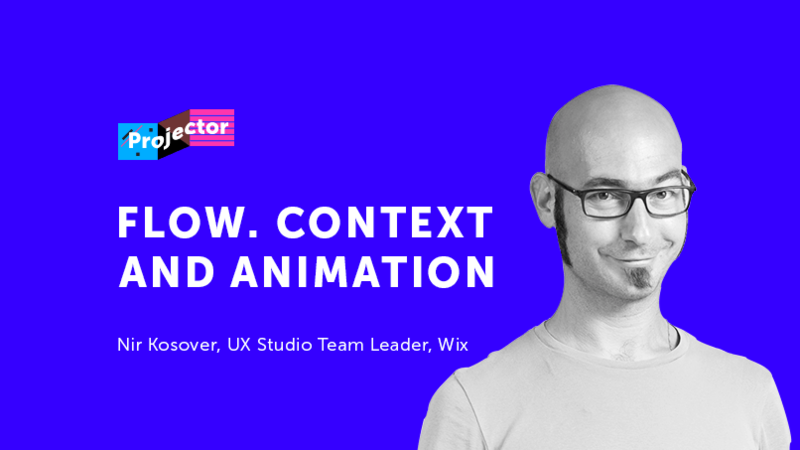 Nir Kosover — UX Studio Team Leader в Wix. Nir Kosover is passionate about many things — meticulously crafted products, user-centered design, music and of course his wife and newborn son. Autodidact by nature (but an electric engineer by training) Nir loves a good challenge and the lightning fast paced, constantly evolving tech industry. For the past 10 years, Nir has been designing products and has cultivated practical expertise in multiple industry disciplinaries. The last 5.5 years have been at Wix.com as a UX Team Manager where he creates products and manages UX talent. We use prototypes to imagine new products, iterating quickly between various options. There are various methods and styles of prototyping that helps us succeed at this crucial step. I would like to present a slightly different approach to prototyping that elevate context, motion, and storytelling as a way to quickly create flows that tell your product story. The lecture is held in English.